What is Coastal Interior Design? Think child hood memories, long lazy days on the beach, catching crabs, splashing in the sea, the sun always shining. This is the basis of coastal interior design - bringing the outside in. 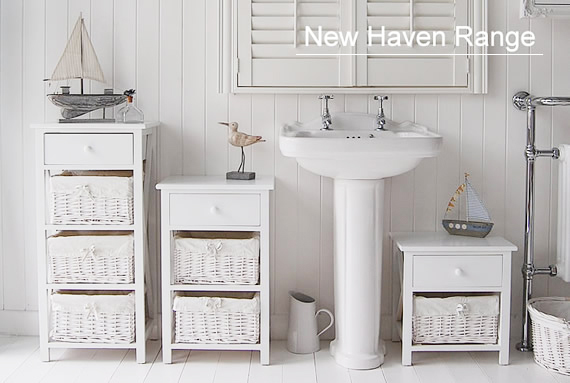 Creating a light, bright, breezy interior in the hallmark coastal colours of the coast - pale blues, greys and whites. These coastal colours spread light which is the single most important element of coastal design. 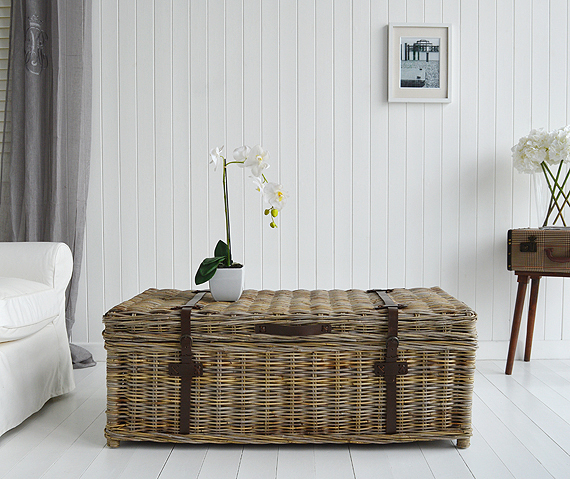 Natural materials such as wood, willow and some rope bring in warmth and texture to coastal style interiors. 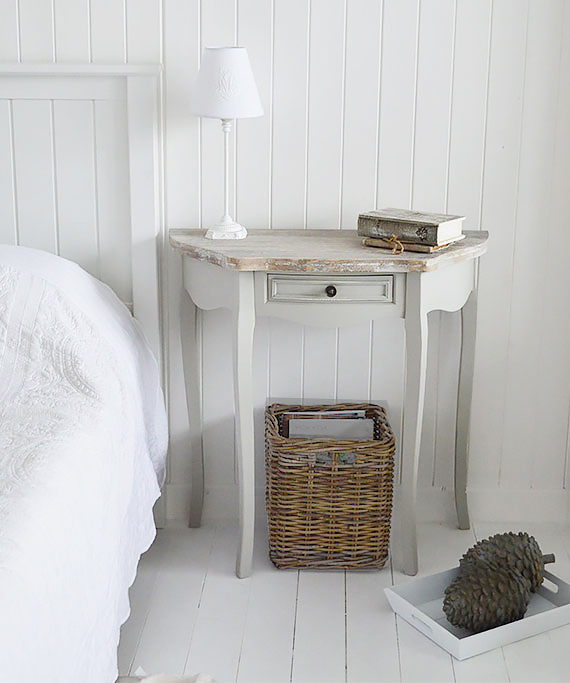 A natural willow side table next to white furniture is perfect. 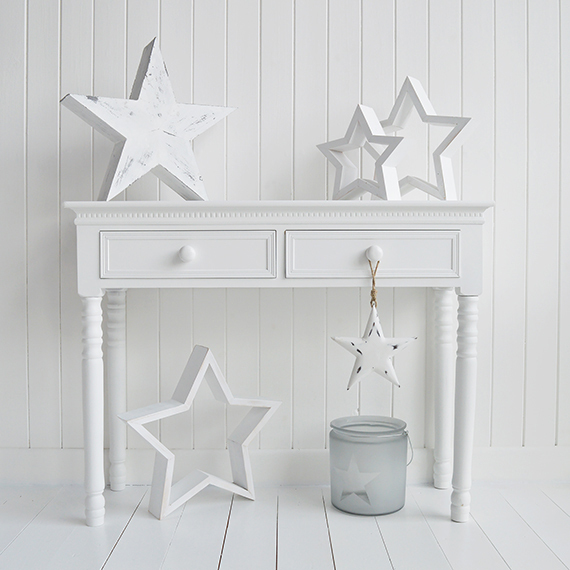 The worn bleached look of driftwood adds to the authenticity of the coastal theme. 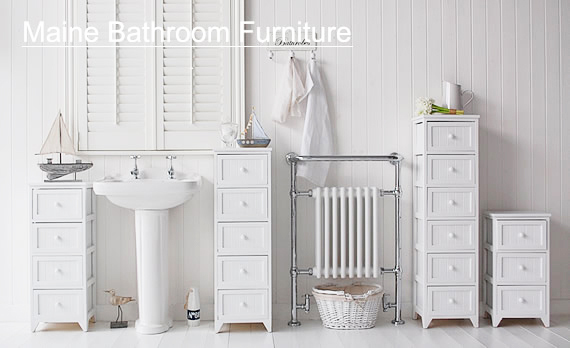 Some simple furniture pieces, small chests or mirrors with a driftwood effect complete the look. 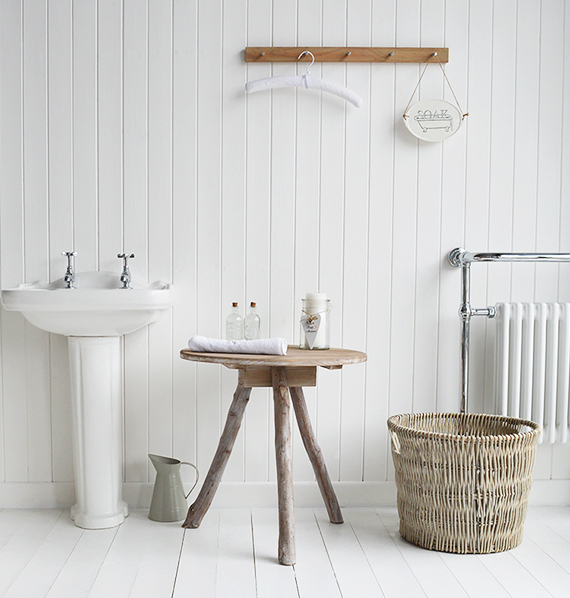 White washed floor boards ans wall cladding epitomise the clapboard look of a beach house. Try this in the bedroom while adding a touch of organic materials as floor coverings, a natural jute rug is cheap and effective. Keep the room clutter free, rarely do you see a beach home cluttered and full, feel free by keeping the bric a brac out of site. 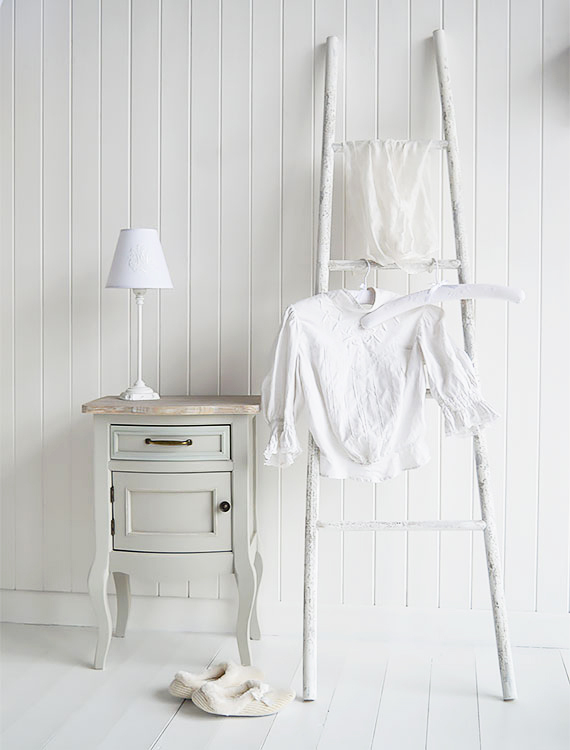 Coastal bedroom furniture includes wooden pieces along with painted pieces in coast colours inlcuding accessories in organic materials. 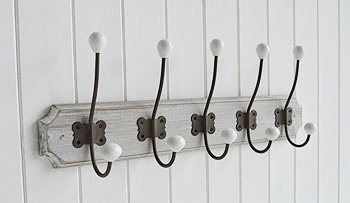 Use soft , washy beach colours of paint on the walls. 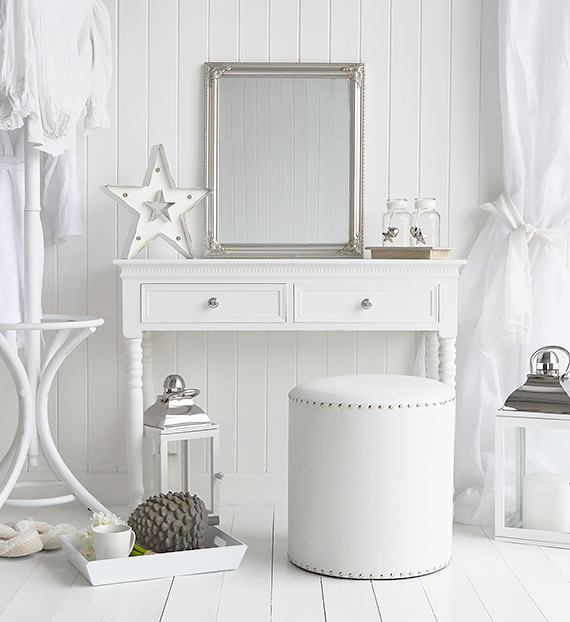 Use bright white paint on trims to get a real clean beach feel. Oversized silver hurricane lanterns are great as accent. Most important - make the most of the natural light. 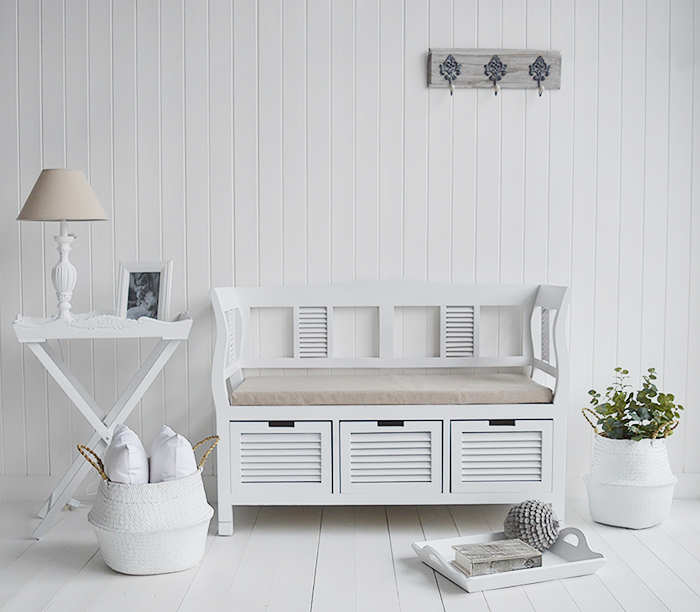 A white hall storage bench seat with cushion offers functionality with style as well as a relaxing place to sit. 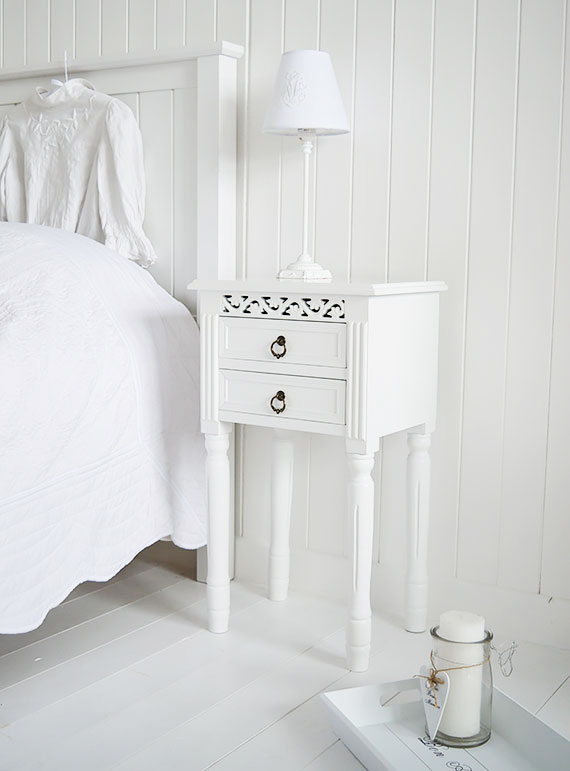 White furniture in the bedroom is a classic design, a white bedside table is definitely a must! New England - Not a style but a lifestyle!